Hello there and a happy Monday to you! It’s really starting to feel like fall around these parts. And by that I mean it gets fairly hot during the day but cold in the early AM and PM. The leaves are turning, the light is so different…blech! I hate the light this time of year, but nothing I can do about it. Le sigh. Anyway, today I have something for the “unicorn” lovers out there called the Models Own Celestial Collection. 🦄 This collection includes the Celestial Enchanted Eyeshadow Palette, a couple Celestial Chrome Lip Toppers and some Lip & Face Glitter kits (which are not shown here). 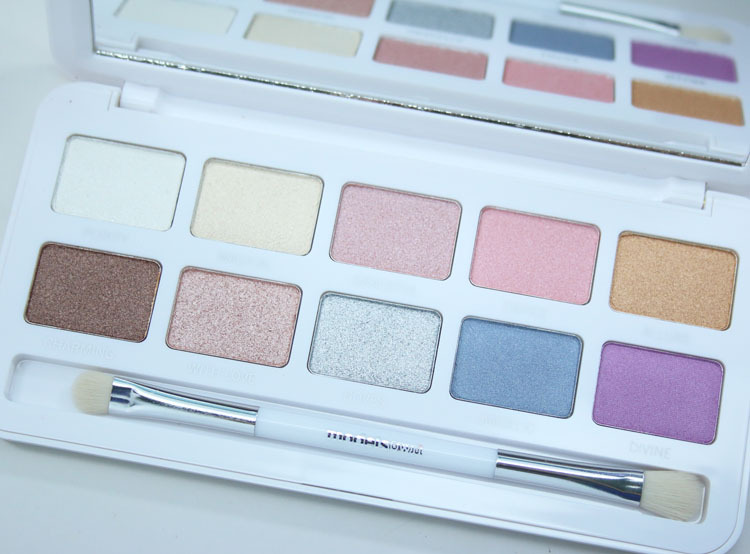 Celestial Enchanted Eyeshadow Palette comes in a white palette with a holographic print on the outside. Inside there is a large mirror, a dual-ended eye shadow brush and 10 eye shadow shades. 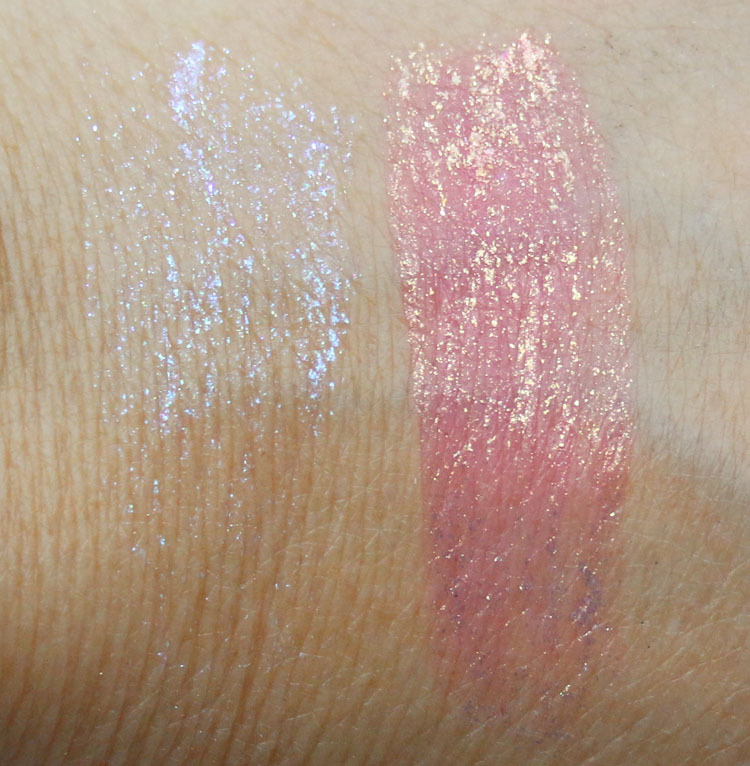 Celestial Chrome Lip Toppers come in two shades. I don’t know why they are labeled “chrome” they aren’t at all, but they are very sheer and glittery. Purity is an icy white shimmer. 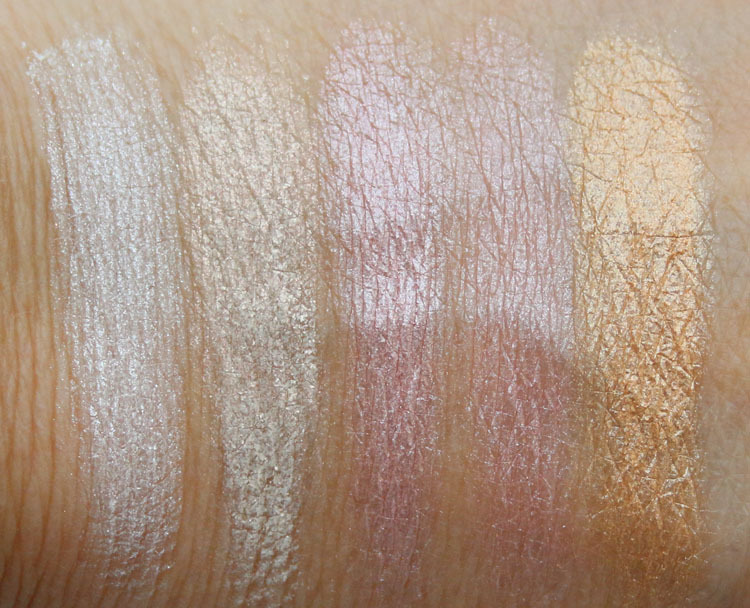 Magical is a light golden shimmery duochrome. Graceful is a pale rose pink shimmer/metallic. Entice is a light ballet pink frost. Allure is an intense gold shimmery metallic. Charming is an intense mocha with sparse silver sparkles. With Love is a light glittery champagne. Doves is a glittery silver metallic. Angelic is a light blue/grey with silver sparkles. Divine is a lavender frost with sparse sparkles. Stardust is basically clear with iridescent pink/purple/blue shimmer. Rose Comet is a light pink with heavy gold shimmer. Alrighty so here is what I feel about this collection. 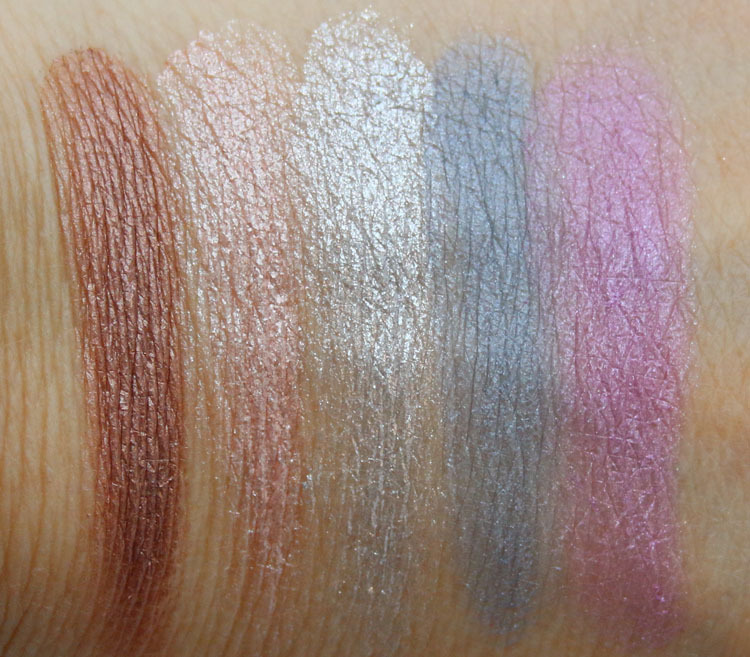 I kind of like the eyeshadows but kind of don’t. I feel like the colors are pretty and generally everything looks nice, but there seems to be a juvenile-ish look about it all. I feel like this would be really cute for someone fairly young or just getting into makeup, but not those well-versed in shadows. 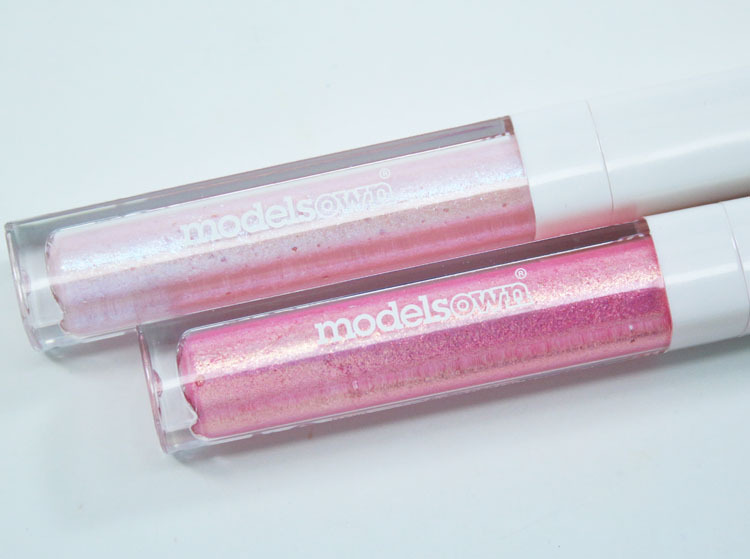 Same with the lip glosses. They are very “young” looking and on the dry side to boot. So again, maybe a good option for those just starting out with makeup. 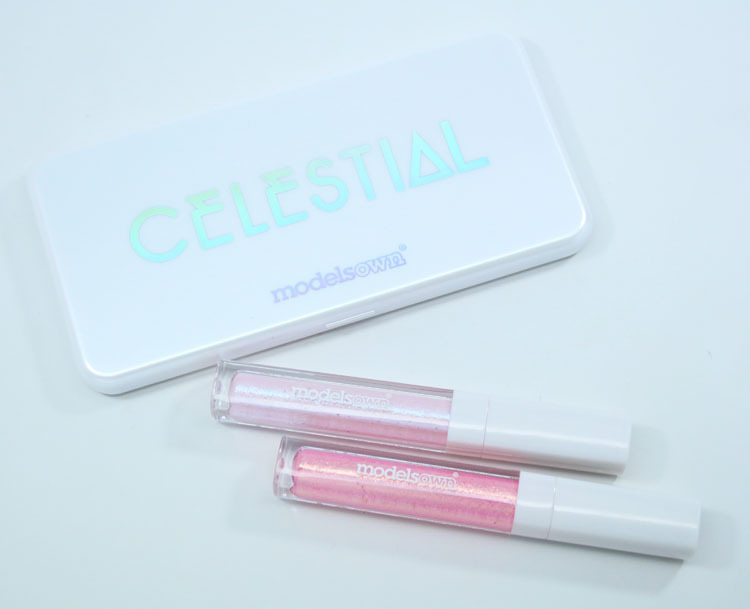 You can find the Models Own Celestial Collection in stores and online now. How are you feeling about this collection? Does it veer on the “young” side to you? You’re completely right! Waaaaay too young for me and it hit me. This looks like something you’d get at Claire’s or other Tween stores. Definitely a My First Makeup kind if vibe. Yep, hence me calling them lip toppers in the beginning of the post.